splunk search tutorial - "This website is not affiliated with Splunk, Inc. and is not an authorized seller of Splunk products or services." Assumptions:You have already downloaded and installed slunk and you have added log data to splunk. 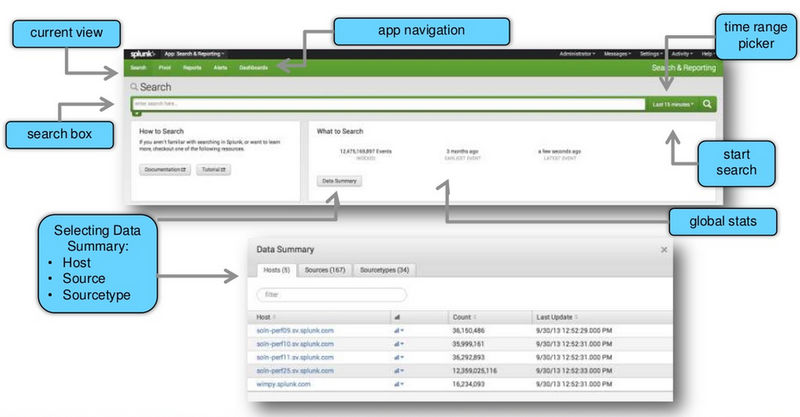 After logging into splunk you will see below search window.Just click on them to explore more. Data summary -shows statics for searched logs i.e. how many results we found after searching etc. If you want find out specific information in your environment like common errors,user,problematic host etc just enter the keyword and click on search.You will get specific logs related to that keyword . Splunk search supports use of boolean operator in splunk.We can use "AND" operator to search for logs which contains two different keywords.for example i want search for logs which contains errors for database only.So just enter "error" AND "database" and click on search. For example if i searched for keyword 2* it will show me all logs which contains 2 or 200 or 21,207 etc. Dedup command removes duplicate values from the result.It will display most recent value/log for particular incident. 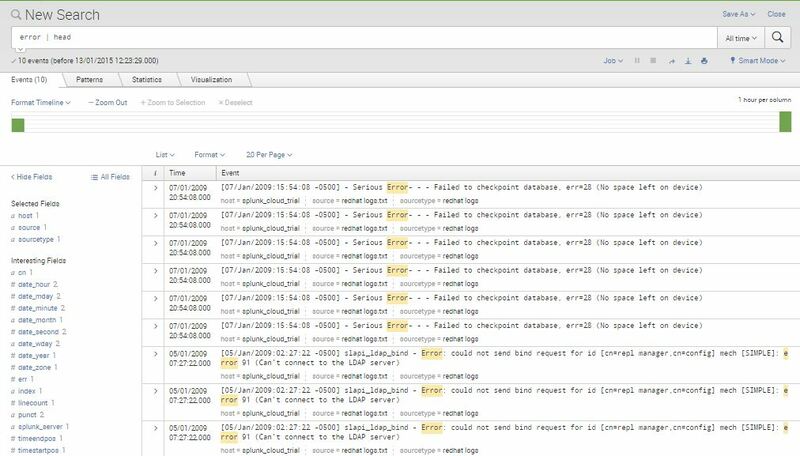 splunk removes events which contain an identical combination of values for selected fields.The dedup command will return the first key value found for that particular search keyword/field. For example if i searched for all logs and applied dedup command for user id field i.e. dedup field then it will display only one log for each uid.No log repetition will not be there. 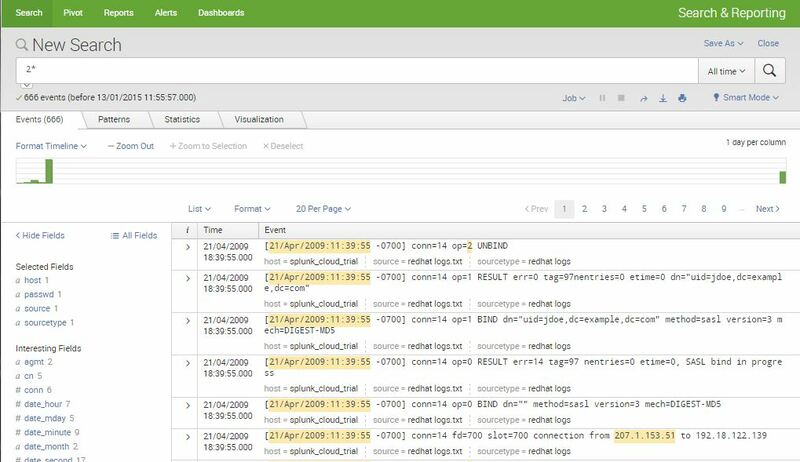 Head command in splunk is used to display first top results for the search.By default it will display first 10 results,we can specify number of results to display. Tail command in splunk is used to display last results for the search.By default it will display first 10 result,we can specify number of results to display. Eval command in splunk is a multipurpose command in splunk. Eval modifies or creates new filed.Eval is normally used to evaluate an arbitery expression,perform mathematical operations,renaming fields etc. The eval command requires that you specify a field name that takes the results of the expression you want to evaluate. If this destination field matches a field name that already exists, the values of the field are replaced by the results of the eval expression. • Transactions can cross multiple tiers (i.e., web server, application server) using a common fields. Want to dig more commands?